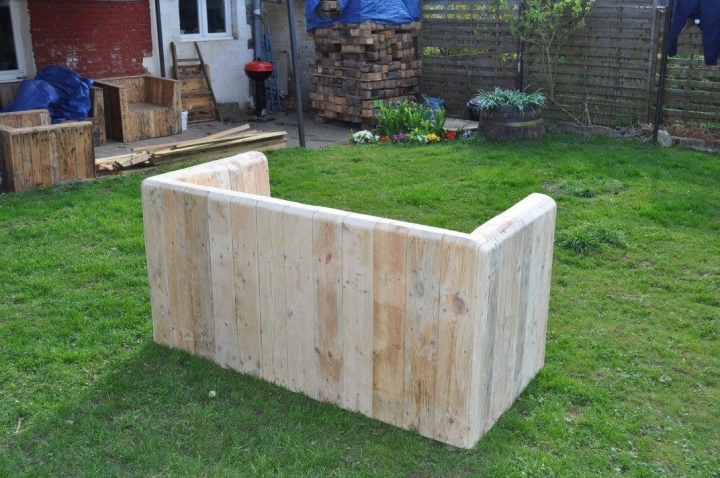 You know what, this is the quality and specialty of this distinguished platform that we provide multiple pallet wood recycling ideas that are tagged with their certain uses and places which are perfect for their use. As a wooden table can be used at every place, but this would be perfectly used in the side or front of a wooden couch. Following the same approach, any furniture item can be placed in the patio but some qualities can make it a patio specific furniture item. 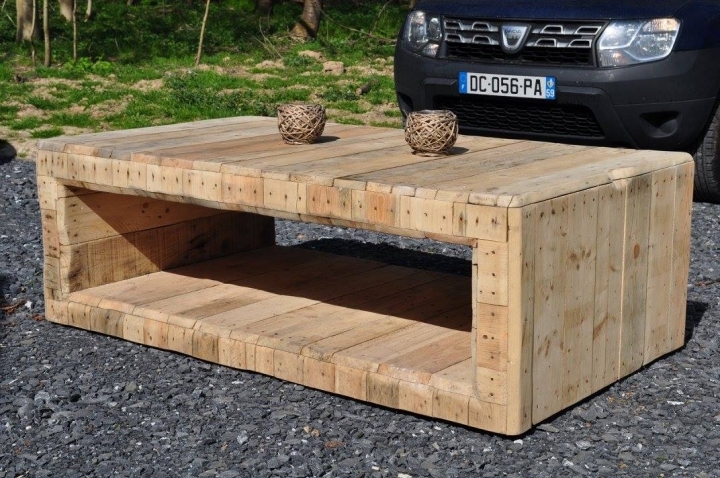 Have a look on the pallet wood furniture range that we have presented below, this would display various qualities that would make it an appropriate patio range. 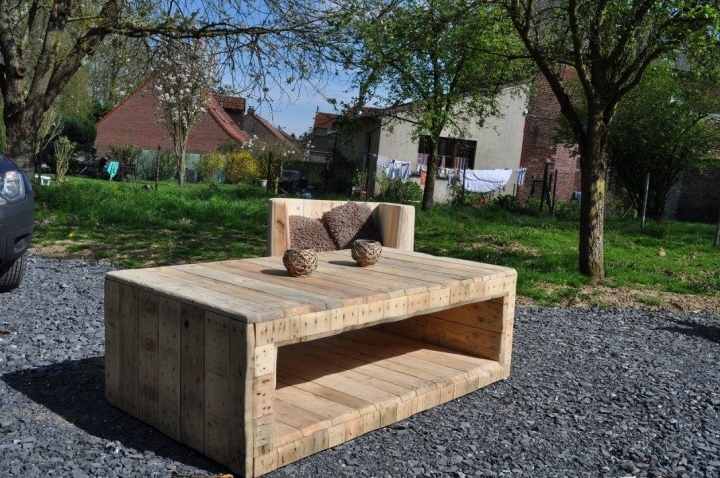 Just like this patio wooden pallet recycled coffee table. This has got a pretty rough and rustic appearance as we left it unstained. Though we did a couple of things for the finishing purpose like fine sanding. 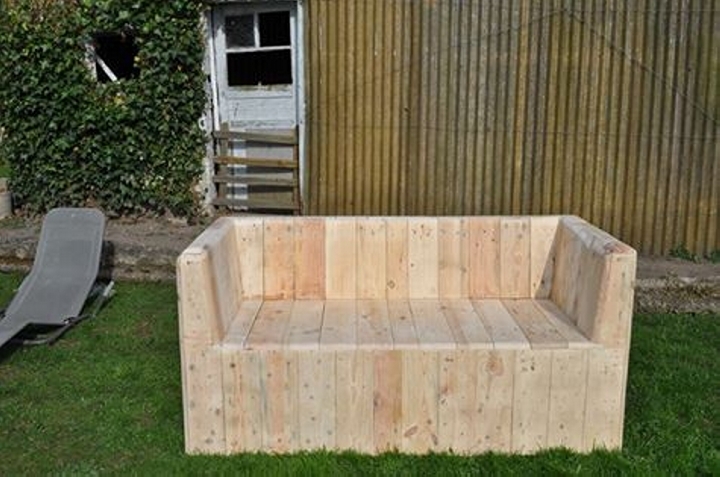 This couch made matching to the patio pallet wood coffee table. 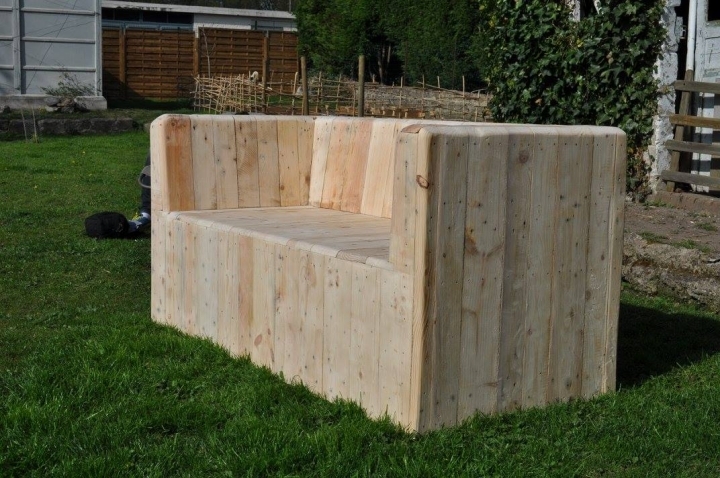 It has got a perfect design for a patio pallet wood couch that provides the perfect posture while sitting outdoor. The seating space is quite spacious with some decent armrests that would comfort you while the longer sitting spells in the patio. And here comes a three seater couch matching to the rest of the patio furniture range. As we intended to place it in the patio, we could have stained it in some darker shades but just to make it look natural in the sunshine we left it unstained. Having a back view of the pallet wood patio couch shows two features majorly, one that a very fine sanding is done to smoothen up the texture of the furniture. Plus the selection of the shipping pallets was made with sheer smartness, and some of the finest pallets were employed for this certain task. If we go to the market to buy such comprehensive sitting arrangement for the patio or some outdoor space, this might cost us hundreds and thousands of dollars. 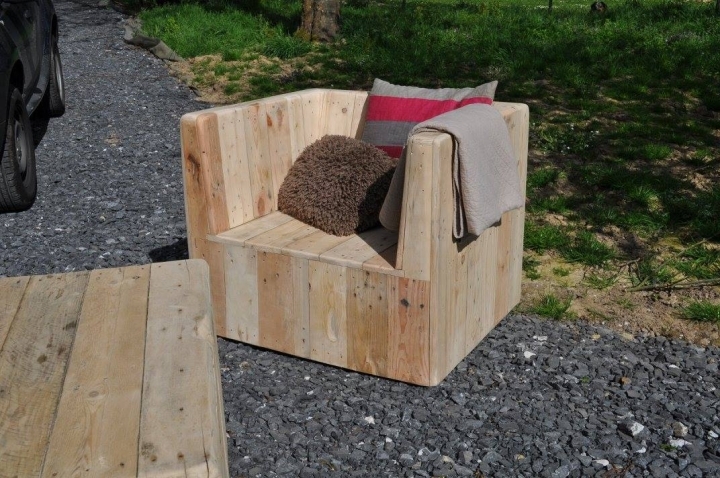 But with the pallet wood, you can repurpose all kind of furniture items pretty free of cost except some basic minor expenses. Plus you have the complete control over the design and the shape, so you can make a perfect wooden furniture item for your available space with you as you have the best knowledge of the measurements that would be quite apt and accurate for your available space.